This enchanting chalet on Lost Land Lake was on my fall list of property tours. Heading east from Hayward, this three-season cabin is only about a half-hour drive, 20 miles, off of Hwy 77. Lost Land Lake is a quiet lake located within the Chequamegon National Forest. I’ve been told by fishermen who frequent Canada, that the beautiful forested landscape here reminds them of what they’ve seen in Canada; a primal, untainted wilderness. 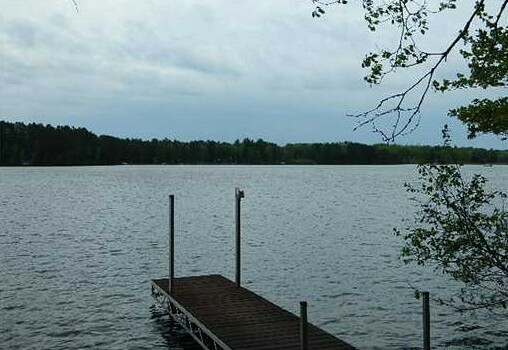 Lost Land Lake, according to our Sportman’s NW WI Fishing Guide is a relatively shallow drainage lake with a maximum depth of 21 feet, and a mean depth of 12 feet. It is 1,304 acres of fairly clear water with primarily a sand/gravel bottom. Panfish are abundant, and quality walleye, bass and muskie can be had out of its waters. 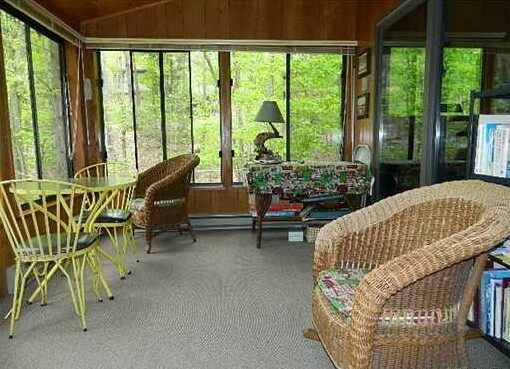 This 2 bedroom, 2 bath vacation home has about 200 feet of frontage on the southern shores of Lost Land Lake, and is surrounded by just over 1.5 acres of wooded land. 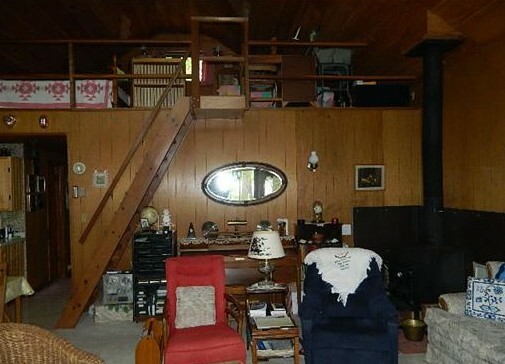 The open floorplan is wonderfully rustic in feel, with a large loft bedroom to house your guests. You will welcome the wood burning fireplace after fishing those cool fall evenings! The master bedroom is on the main level and has its own private bathroom, plus there’s an extra bath in the hall for everyone else. Relax on the large screened porch overlooking the lake, or unwind in the private built-in hot tub for the greatest in comfort. 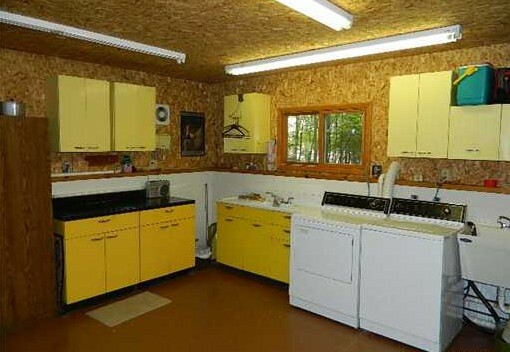 There is a large room between the 1 car garage and the home, a utility room of sorts, where laundry, extra storage and additional appliances are found. I thought this could be a very useful room for all the activities that go along with fishing and hunting, you know, keep the ‘mess’ out of the cabin, or, it could be useful for the overflow of quests during summer gatherings. 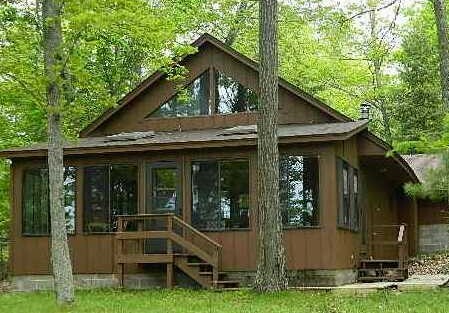 If you are ready to begin making wonderful memories in this cabin on Lost Land Lake, contact me! Come take a look, you’ll be delighted with what you find here! This entry was posted in Cabins For Sale Hayward, Chalets For Sale Hayward, FEATURED PROPERTIES, waterfront cabins, waterfront chalets and tagged area north realty, cabin for sale hayward, cabin in northern wi, cathy lareau, chalet for sale hayward, chequamegon national forest, fishing lost land lake, Hayward, Hayward WI, lakehome for sale hayward, lost land lake, quiet lakes in hayward. Bookmark the permalink.